The Charleston Area Alliance is pleased to offer a variety of programs to help ensure a brighter future for the Kanawha Valley. Business After Hours is our most popular monthly member event that provides an opportunity to unwind and build enduring business relationships. During the months of March through December, downtown Charleston celebrates its creative side during ArtWalk. More than 20 venues now participate in the 13-year tradition of making art more accessible for all. The self-guided tours feature a variety of works – be sure to look for the ArtWalk signs designating participating venues. Masters Law Firm sponsors this program. It’s in the name – our GROW program is all about building up local talent. The six-month entrepreneurial boot camp is designed to enhance the skills of entrepreneurs while simultaneously building an entrepreneurial ecosystem. The Elevations Professional Women’s Network looks to enrich, empower and elevate women to achieve success. Through luncheons and other events featuring high-profile speakers, Elevations provides an affirmative network that connects professional women with the information, resources and contacts that help them, their business and their communities thrive. Elevations events are open to the public. Dow is the Title Sponsor of Elevations. Young talent is the future intellectual capital of any economy. The Charleston Area Alliance is committed to creating both an economy and community that is, and will be, attractive to this group of professionals. 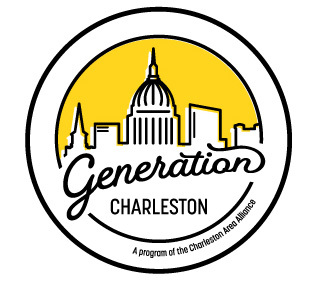 Generation Charleston, a committee of the Charleston Area Alliance, serves as the voice of the Capital City’s emerging leaders. Its mission is to provide young professionals with opportunities to get connected, engaged and make a real difference in the Kanawha Valley region. Visit the GC Facebook page for information on membership and upcoming events! You bring the eats. We bring the beats at our Brown Bag Concert Series. The summer concert series is free and open to the public, and held in downtown Charleston’s Davis Park. Brown Bag Concerts are all about celebrating music, local food and our outdoor downtown spaces! Each year, the Charleston Area Alliance and its business and community partners come together to celebrate accomplishments and look forward at the Charleston Area Alliance Annual Celebration. It is one of our largest fundraisers of the year. The We Love Our Community event shines a spotlight on the best of Charleston as the Alliance annually honors Kanawha Valley individuals who represent the grace of our people, places and culture helping us achieve our mission of building a more vibrant community and prosperous economy. The event is held during the spring. THRIVE is the Alliance’s face-to-face crowdfunding event that provides entrepreneurs and small business owners a chance to compete for a cash infusion in a fresh, inventive way. Tee off to help build a stronger future for the Kanawha Valley at the Charleston Area Alliance’s annual Golf Scramble. Bring your colleagues and friends to play a round of golf at a local Alliance-member course in the heart of West Virginia’s beautiful scenery. Our Radical Entrepreneurial Venture (REV) program, made possible through the generous support of the Claude Worthington Benedum Foundation, aims to recruit innovators to the Mountain State by highlighting the opportunities in the area and leveraging existing professional relationships. More than 20 Kanawha Valley professionals with ties to out-of-state schools and innovation hubs have joined our REV recruitment efforts. Enhance your leadership skills and strengthen your knowledge of local business, government and quality of life issues contributing to our region through the Leadership Kanawha Valley program. Leadership Kanawha Valley links tomorrow’s leaders with today’s decision makers while providing the ultimate teaching and learning environment. The Downtown Charleston Streetfest Series launched in 2014, providing an evening of family fun in the heart of Charleston’s business district. Join the Charleston Area Alliance for its annual international trip to explore potential business opportunities and submerge yourself in new cultures. Our staff works with participants to plan business meetings to help you identify and expand global opportunities. Click here for 2019 TOUR BROCHURE.